When it comes to the aluminum materials, these words are not strange to you, such as the aluminum sheet, aluminum plate, aluminum foil, etc.. Because they are all made of the aluminum, so they have the same character, and you maybe wonder what is the difference between them, and today we will talk about it. In a word, the difference of them is the thickness, for example, the extremely thin thicknesses are considered foil or leaf, the aluminum foil is a solid sheet of aluminum (or alloy rolled to a thickness of 0.0059 inches or less). At a thickness of 0.006 inches or more it is referred as sheet and thickness more than 6 mm (0.25 in) is considered as plate. The application in different fields may need the different thickness, and you may need to be clear about the using purpose when you are buying the aluminum sheet or foil. If you consider them as the same, there maybe some trouble with you. I believe the thickness limits developed from the use of a gauge number (gage number in USA) number to specify sheet metal thickness, with metal thicker than the size range covered by the gauge standard being termed plate and metal thinner than the size range covered by the gauge standard being termed foil. A number of different gauge standards have been used for different applications. For example, gauges for ferrous metals (steels) are not used for non-ferrous metals such as aluminium and copper alloys, and there are also regional preferences for alternative gauges. Depending on the historical application of the various gauges to describe sheet metal, and their thickness limits, or simply local practice, the thickness at which metal is described as foil, sheet or plate is different. Confusingly, the same gauge number refers to a different thickness in different gauge standards. Due to this potential for confusion, the use of gauge number is discouraged by current standards organisations such as ASTM, “as being an archaic term of limited usefulness not having general agreement on meaning” (ASTM A480/A480M (08b). Strip: cold-rolled material under 3/16″ [5.00 mm] in thickness and under 24″ [600 mm] in width. Note that the metric dimensions are not conversions of the imperial measurements: they are the measurements used by the metric version of the standard, ASTM A480M. This does not mean that all stainless steel of thickness 3/16″ and over must be called plate, but it is the correct term for material complying with this particular standard. Since ASTM A480/A480M does not include requirements for metal foil, it does not define a boundary between foil and sheet. A different standard would need to be specified for stainless steel foil, and this standard would define the thickness of material that it covered. Different standards would also need to be specified for other metals, and they may well define the sheet and plate thickness limits differently (for historical reasons, such as the gauge standard previously used). Plate and sheet are words used to describe the classification of metal depending upon its thickness. While sheet metal is less than 3 mm thick, plate metal is obviously thicker than 3 mm. Many people become confused because of classifications such as plate, sheet, foil and others, but there is no need to be, as their differences are clearly spelt out. It is mostly in terms of metal aluminum that we hear words like plate and sheet. The thickness of the product decides the category into which it falls or belongs. Plate is defined as a thickness of more than or equal to 0.25 inches, while a sheet has a thickness of 0.006 inches or more but less than 0.25 inches. At the extreme of this continuum is a foil that has a thickness of less than 0.006 inches. As aluminum moves between rolls under pressure, it becomes longer and thinner, thus resulting in Aluminum Plate or sheets. One of the main differences between Aluminum Plate and sheets is that sheet metal is under .249” thick, while plate metal is .250” and above.. Another difference between Aluminum Plate and sheets has to do with the distinct applications for which they are used. 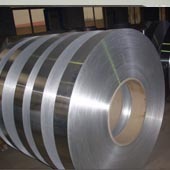 Sheet is the form of aluminum that is used the most often. You can find it in all of the major markets of the aluminum industry. For instance, aluminum sheet is useful for manufacturing packages and cans in the packaging industry. It is also valuable for manufacturing tractor trailers and automobile body panels in the transportation industry. Sheets are also useful for cookware and home appliances, as well as for construction/building products, such as carports, awnings, roofing, gutters, and siding. Sheet aluminum can even be given blue, red, gold, or black colors, for instance, through color anodizing. It can also be etched to feature a matte finish, or be polished to feature a bright, sparkling appearance. Aluminum sheets may additionally be made to resemble wood through texturing. Aluminum plate is the most often used for heavy-duty applications, particularly in the transportation product manufacturing, aerospace and military industries. Since certain aluminum alloys have the potential to become more durable at extremely cold temperatures, Aluminum Plate serve as the skin of spacecraft fuel tanks and jets, and can also be useful for storage tanks. Moreover, you can use Aluminum Plate in the manufacture of structural sections used in ships and railcars and for military vehicle armor. Howard Precision offers aluminum plate along with many other forms of aluminum products that are designed to suit your specific needs. Our company focuses on providing quality so our customers can have access to top-tier aluminum products each time they need them.